Tra gli sponsor principali dell’Alternative Hair Show, lo spettacolo che ogni anno a Londra riunisce i parrucchieri di tutto il mondo per raccogliere fondi a favore della lotta contro la leucemia, c’è un’unica azienda italiana: Parlux. Il rinomato marchio italiano è famoso nel mondo per gli omonimi apparecchi professionali di qualità, e supporta “AHS” per il terzo anno consecutivo, confermando così anche il suo impegno per il sociale e le cause benefiche. 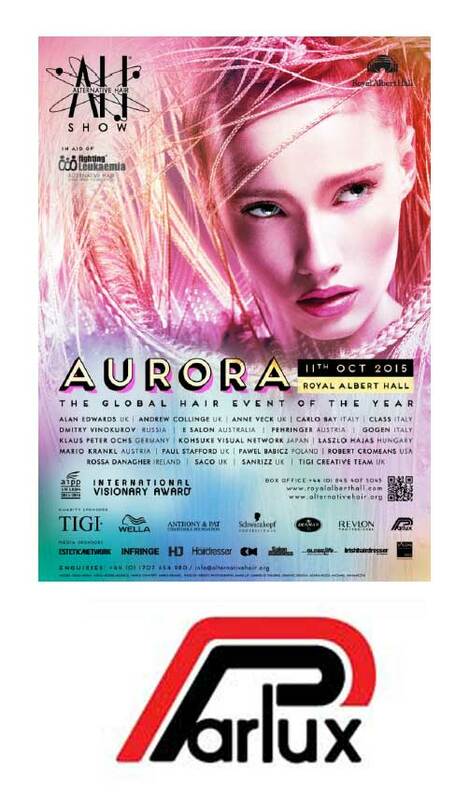 It is called “Aurora”, the new Alternative Hair show on schedule at the Royal Albert Hall in London, next Oct. 11th. Traditional, annual appointment for the hair world, this charity event organized by Tony and Maggie Rizzo to support Leukaemia sufferers – primarily children and their families – this year at its 33rd edition, will register the performances of some of the most famous hair designers coming from different countries. Among the main sponsors, Parlux, well-known Italian brand for quality professional hairdryers, unique Italian company in this role, is supporting this charitable organization for the third year round, confirming the aim to support charitable organizations. “Fighting Leukaemia” may be supported just from now on, by buying tickets and attending to this creative and artistic special show.